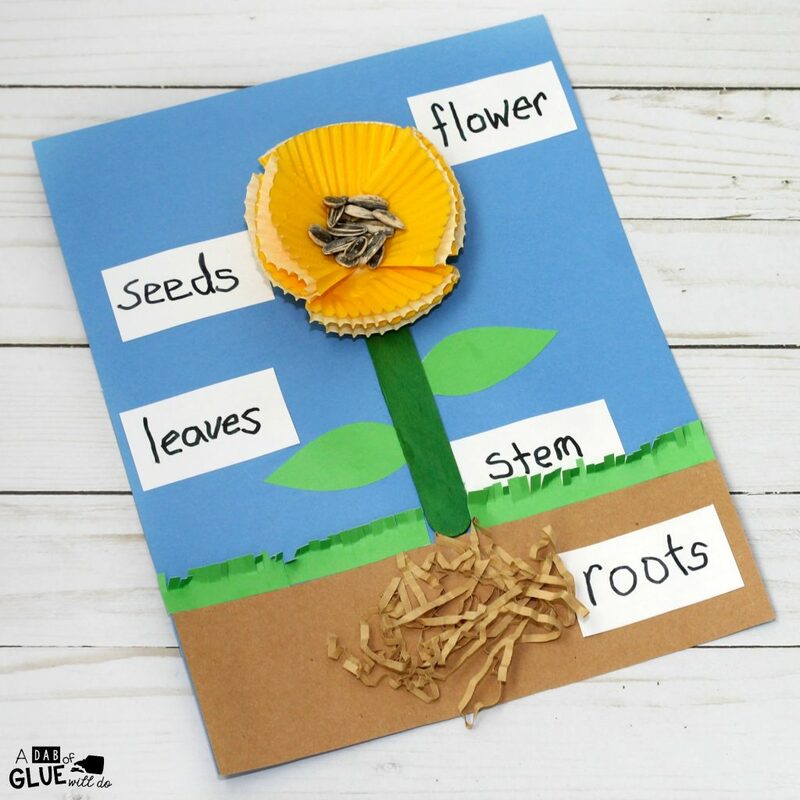 One of our favorite springtime activities is to plant seeds and watch as they grow and bloom into flowers throughout the season. 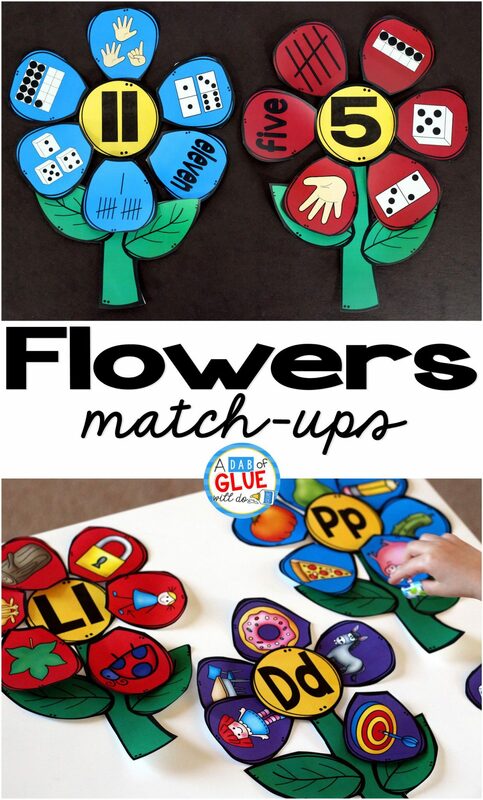 It’s always fun to learn all about the parts of the flowers and what each part does to help the flowers grow. 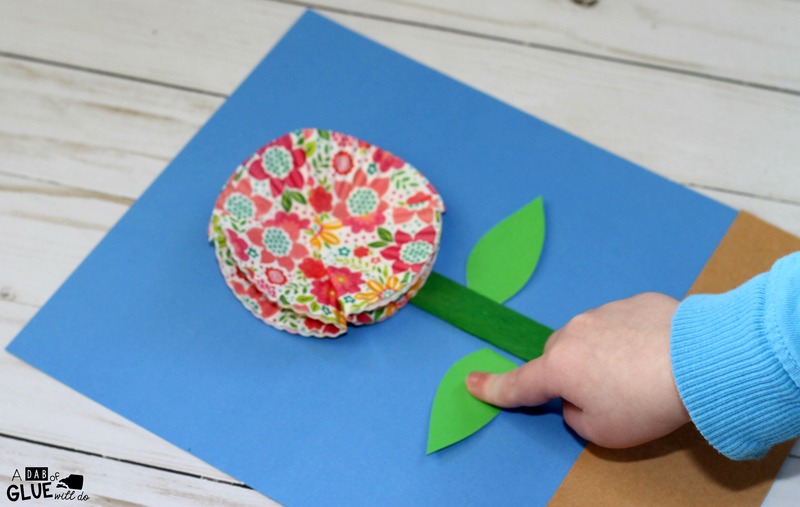 After watching our flowers grow and learning all about their parts, we like to create this Parts of a Flower Craft. First, we painted the craft stick with the green paint. 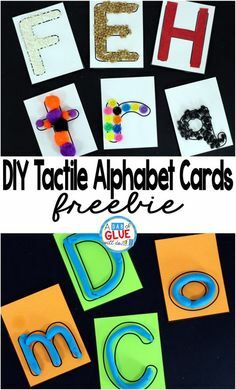 You may need to use two coats of paint to cover the craft stick completely. 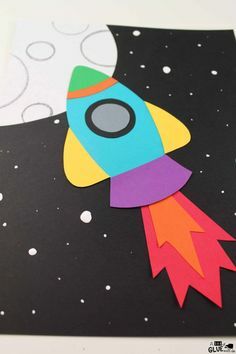 To save time, you can buy the pre-colored craft sticks instead of painting one. While the paint dried, we cut a rectangle out of the brown construction paper and glued it onto the bottom of the blue construction paper for the soil. 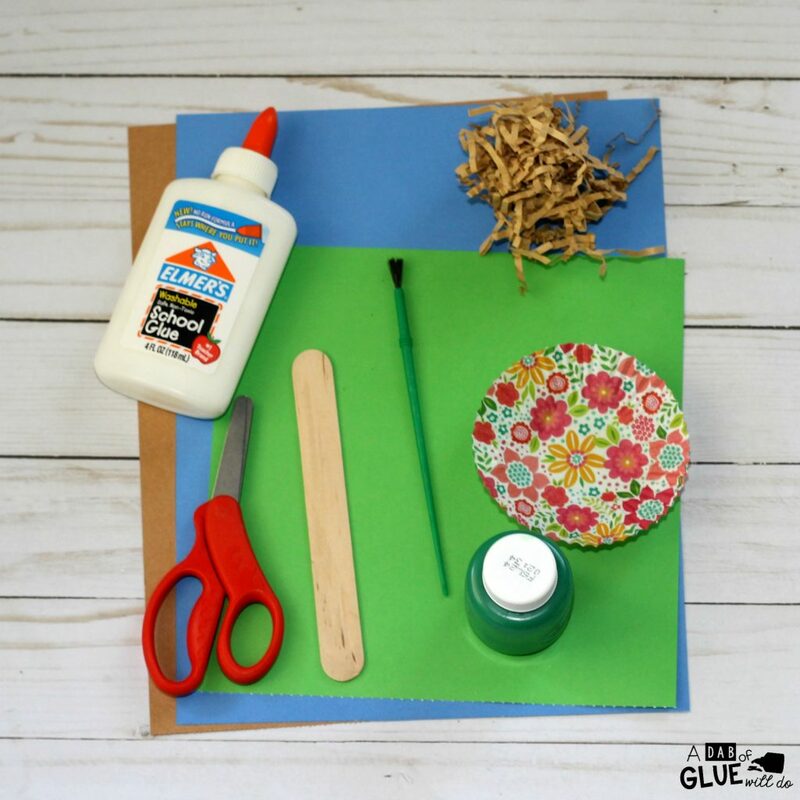 Then, we glued the green craft stick on the blue construction paper for the stem. 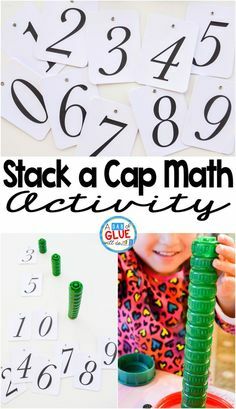 Next, we folded four cupcake liners in fourths and glued them at the top of the craft stick in the shape of a circle so the points were all touching. 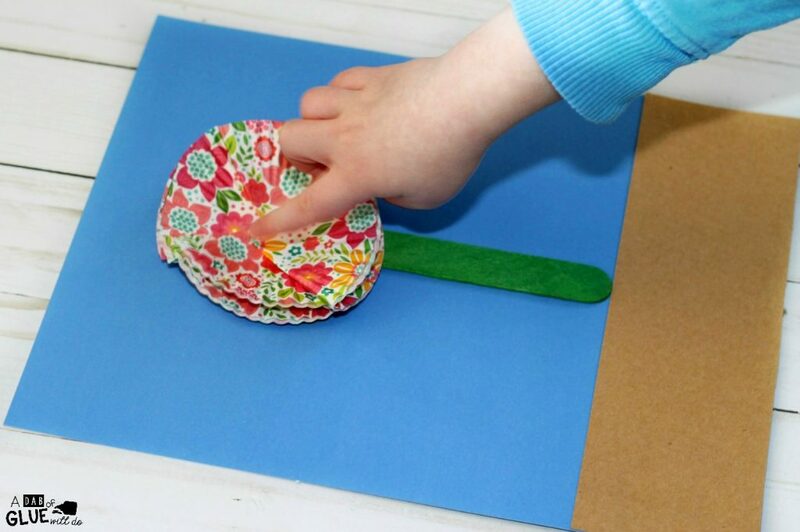 We used four cupcake liners to give it more dimension, but you can use just one cupcake liner and fold it inside out too. After, we glued sunflower seeds in the center of the cupcake liners. Then, we cut two leaves out of the green construction paper. 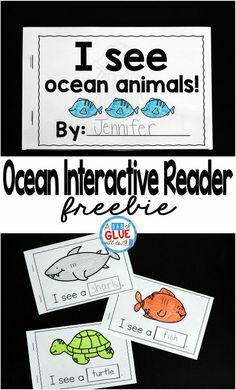 We glued them onto the blue paper next to the stem. 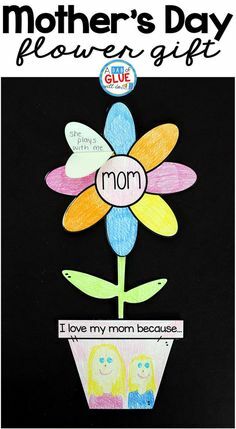 You can draw the leaves on the paper and have your students cut them out if you are working with young children. 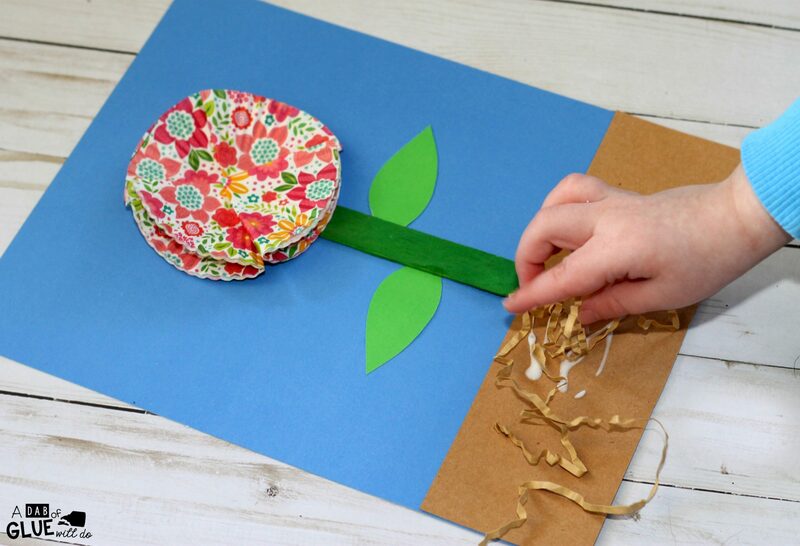 Next, we glued brown crinkle paper on the brown construction paper for the flower’s roots. 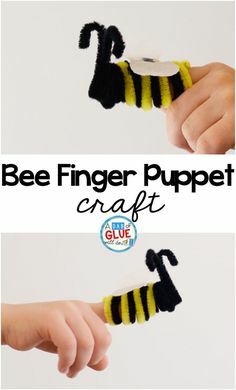 You can also use brown yarn if you don’t have crinkle paper. After adding the brown crinkle paper, we cut two thin rectangle out of the green construction paper. Then, we glue them on above the brown paper for grass. 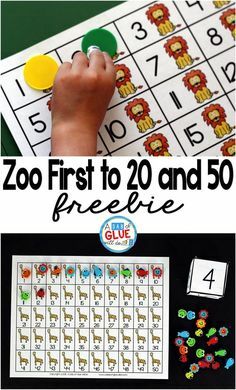 Finally, we cut small rectangles out of the white construction paper. 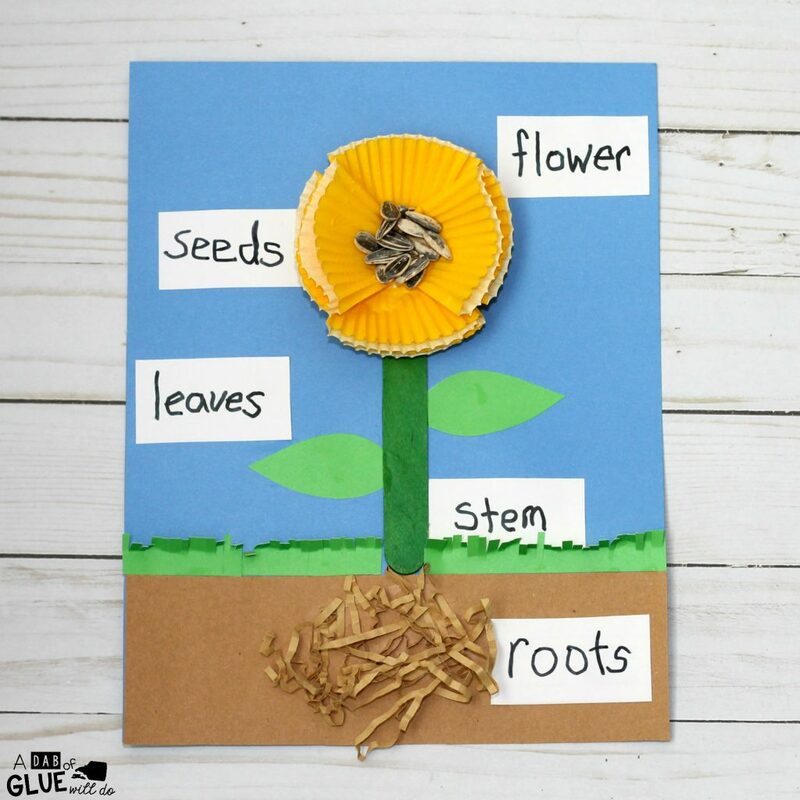 We wrote labels for flower, stem, leaves, seeds, and roots on each piece and glued them onto our paper. 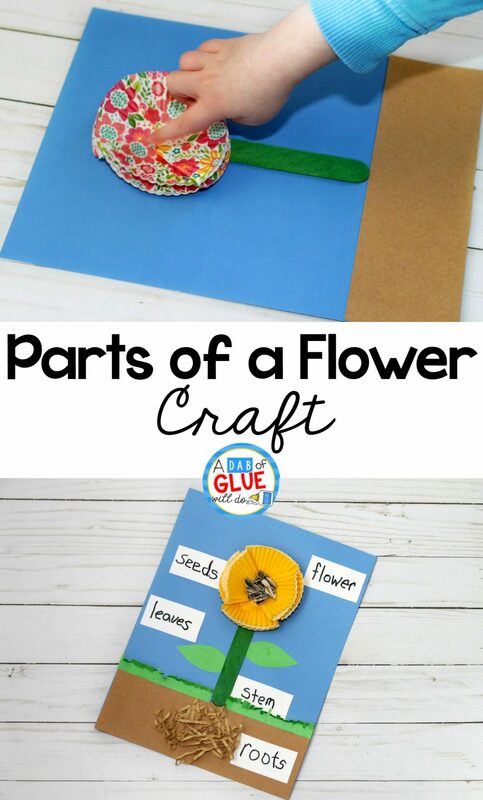 This Parts of a Flower Craft is a fun way for children to learn the different parts that make up a flower and will be a great addition to your flower unit this year.